The painter called at 8:00 AM to ask if he could come and touch up his not-so-handiwork. He surveyed, sighed and said "I didn't know you wanted the surface prepped, some people just want to paint over the drips and gashes - they don't care". My reply was of course to wonder if he only worked for patrons of the Helen Keller Institute and to suppose he had no pride in his work. He did sort of passive-aggressively suggest he might have to charge me extra but I guess he thought better of that... 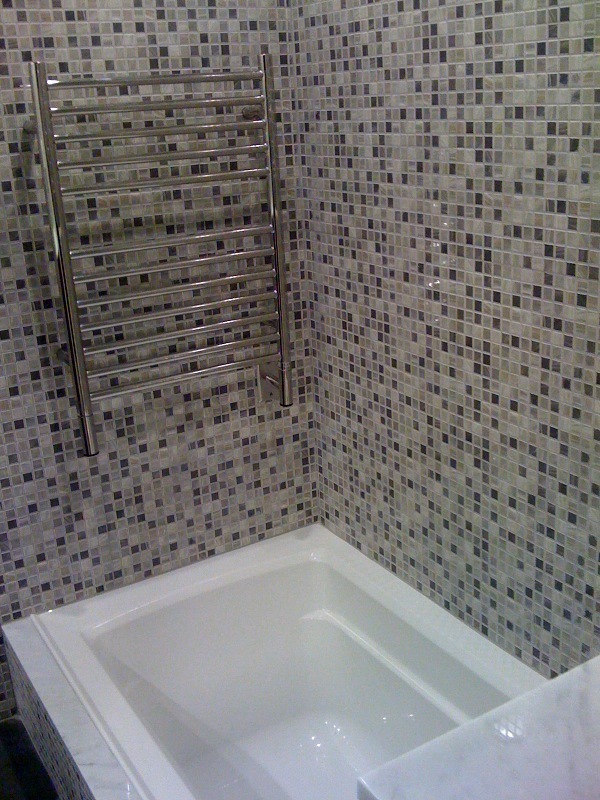 So we have smooth walls, fewer drips and the entrance to the bath is taped, spackled and painted to a smooth finish that looks a lot better than the gap he suggested we ask the tiler to FILL WITH GROUT! 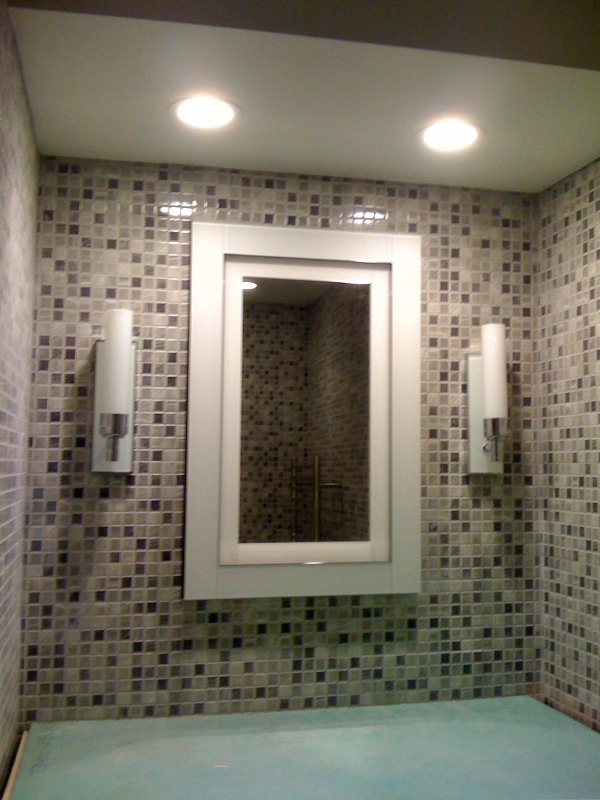 The electrician came early and installed all the light trims, sconces, medicine cabinet and heated towel rack. Toasty towels on a timer will make a huge difference to our old morning shower and shiver routine. The new ventilation fan is whisper quiet - you can actually hear the sound of running water - or you will be able to once the plumber turns it on. But that's for another day. Tomorrow the countertop guy will take measurements and we will be one stop closer to a final finish date. UPDATE: THE GUY (WHO IS OUT OF TOWN) JUST CALLED TO SAY HOW MUCH HE LOVES THE COUNTERTOP IN THE FIRST PHOTO!!!! Methinks a visit to the optician is in order.